Cornwall is a popular walking destination in the UK with striking walks to discover in the woodlands, moorlands or coast paths. 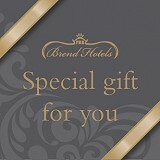 Brend Hotels have now teamed up with South West Coast Paths! The Carlyon Bay Hotel is situated in the perfect location to explore all corners of Cornwall. We have put together some of our favourites from coastal paths to long sweeping beaches, wrap up warm and enjoy a walk this winter! Carlyon Bay Hotel to Charlestown - 1.1 miles. A short walk along the coastal path takes you from the hotel to the historic port of Charlestown, where Poldark is filmed! Cardinham Woods - has circular woodland walks. 3 to 7 miles with beautiful forest scenery. Gorran Haven to Dodman Point - 4.9 miles. Follow the striking coastal path to the daymark cross on the Dodman point, before heading along Hemmick beach. Lanhydrock to Restormel - 5.3 miles. This walk is a peaceful walk along the River Fowey from Respryn bridge. Lerryn to St Veep - 5 miles. The route follows the quayside through Lerryn and then on a path winding through the woods along the edge of the River Lerryn to its confluence with the River Fowey. Roughtor to Brown Willy - 5.2 mile. The route follows the quayside through Lerryn and then on a path winding through the woods along the edge of the River Lerryn to the River Fowey. Kingswoods & Pentewan - 3 miles. This walk takes you along the woodland path of the Kingswood leading to the small village of Pentewan which has a long sandy beach to stroll along. Gribbin Head - 4 miles, National Trust. This coastal walk takes you to beaches, coves, woodlands and grassland rich in wild flowers, out to the Gribbin Head.